An interior design of a house cannot look just plain and boring. Frankly, that is what makes accent wall is important in the design of an interior entirely. Can you make an accent wall? There are a thousand of accent wall ideas can be used as references. Many of the ideas surely are reliable so that using them or some of them as the idea of the design of your room would be a good decision. 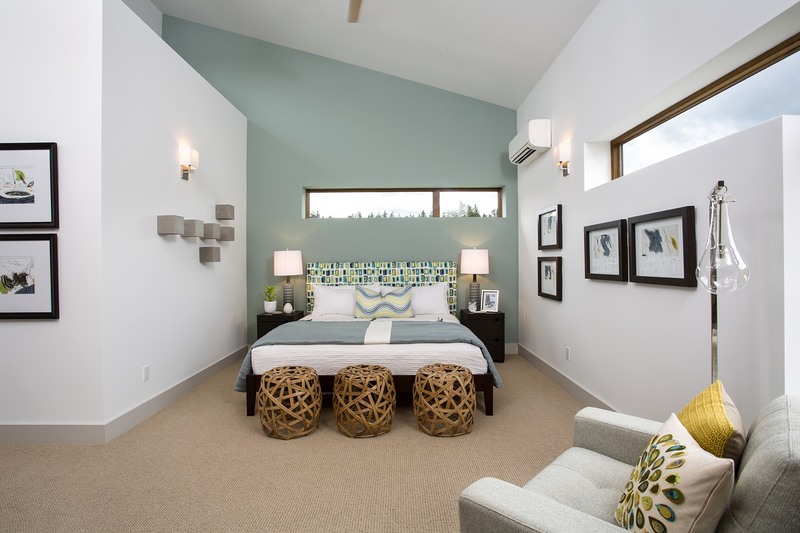 For the idea of accent wall in a bedroom, over headboard accent wall could be the center of attention. Why? It is just because the headboard is usually what someone look at firstly when entering a bedroom. Besides, the position is usually far in the end wall from the entrance point of view, becoming what someone finds first. A lot of models of headboard accent wall actually are okay to apply. Just coloring would be a simple, cheap, but effective method. However, if you want to make something more artistic and beautiful, some wall art should be your choice. In particular for the home office, the accent wall ideas that are the choices shouldn’t be far from things that can help the owner work. Ideally, the idea has to match with the characteristics of the owner’s profession or job. In this respect, a world map in a large size would be a nice idea. Why? One of the benefits of attaching the map on some space on the walls is that it suits various professions. In other world, this idea basically is general and multifunctional. When running your business, for instance, you may need to travel frequently to various places. The map can be helpful just in case you want to know the location and/or get more geographical information of the destination. My recommendation is you buy a full-wall one. Moving to the kitchen, one of the magnificent accent wall ideas is wood pallet wall. Such an idea is offered to be applied in the dinette area instead of the cooking space. This is very closely connected to the expected atmosphere that will be created by the style of the wall. Well, this idea of accent wall basically appears pattered dark. Thus, it will feel cozy, comfy, and cool to see. It is surely good for anyone who is eating or drink or spending some spare time in there. The best kitchen color scheme for this accent idea is any bright color. Do you have your own favorite accent wall ideas?